sporadic adventures of my life and all my loves. It had been about a year or so since I ran into my ex-coworker DI, and it just so happened he was working on the same project I was. So we decided to grab lunch. 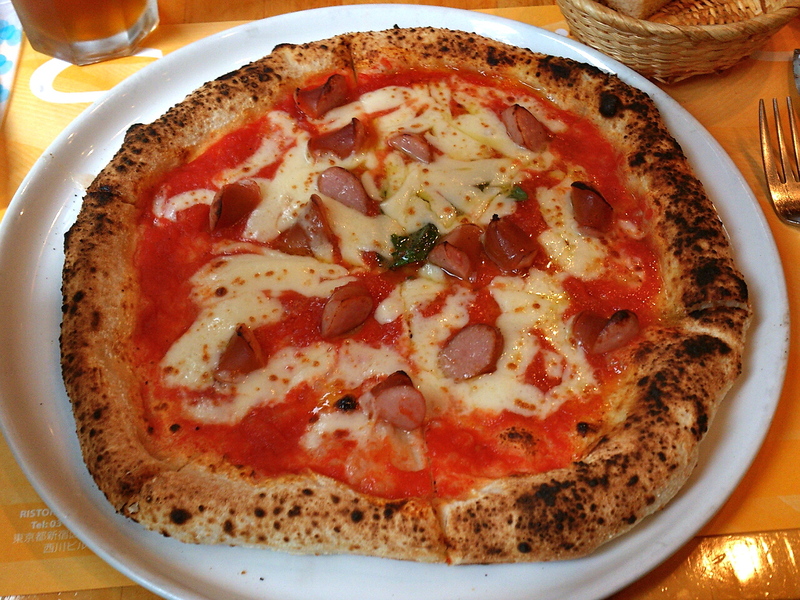 The project was held in a random area in Tokyo–Ushigome Kagurazaka (牛込神楽坂), but I knew of an awesome pizza place called Pizzeria La Volpaia (ピッツッリア ラ ヴォルパイア). So off we went. It had been about 9 months since I last ate here, since I am rarely in this neighborhood. 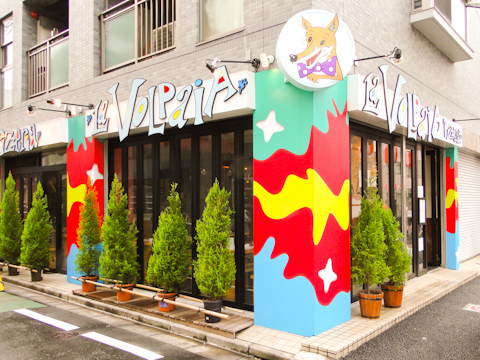 But the restaurant is easy to spot with its bright vivid pillars and cute fox mascot. You order and pay at the counter before sitting. 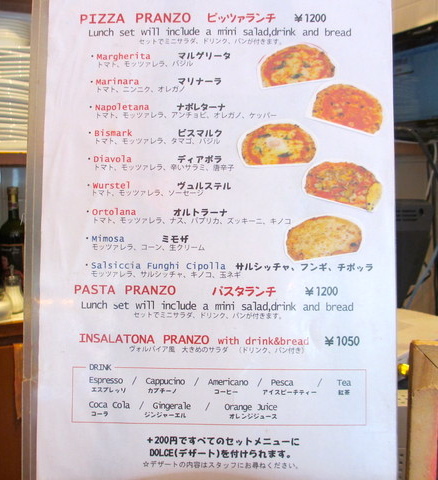 You have your choice of pizza lunch, pasta lunch or salad lunch. Each lunch set comes with a mini salad, bread and drink. 1. 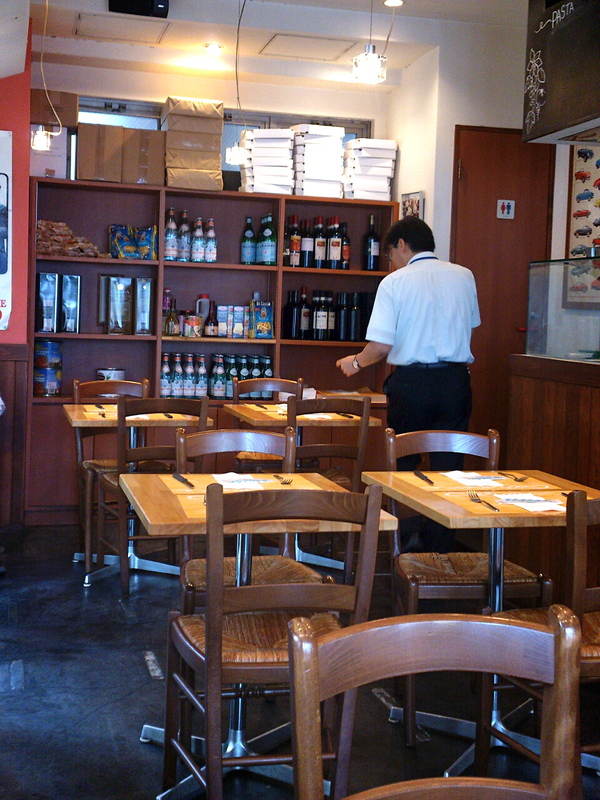 Luckily DI and I got to the place before the crowds, but as we sat down the customers started pouring in. 2. 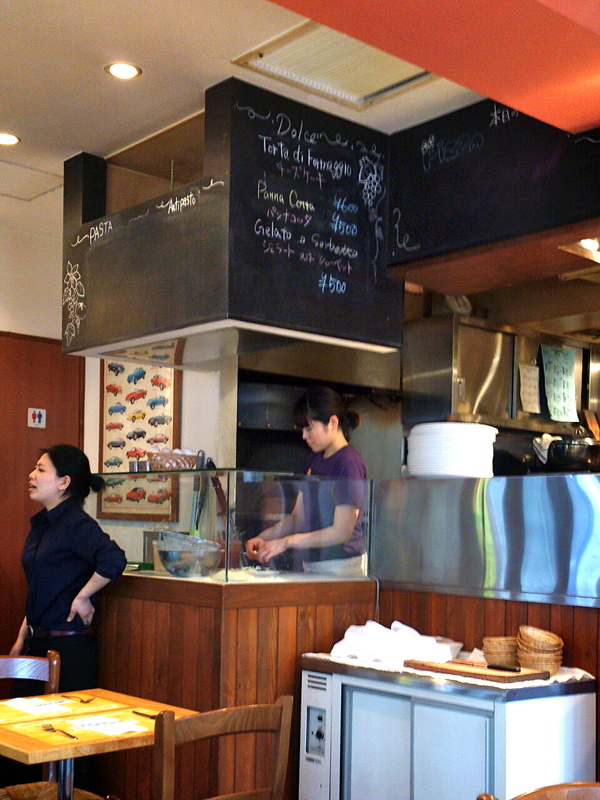 You can see one of the chefs making the pizzas before you. While we anxiously awaited our pizzas, out came our mini salads. Surprise surprise, the mini salad wasn’t so mini. 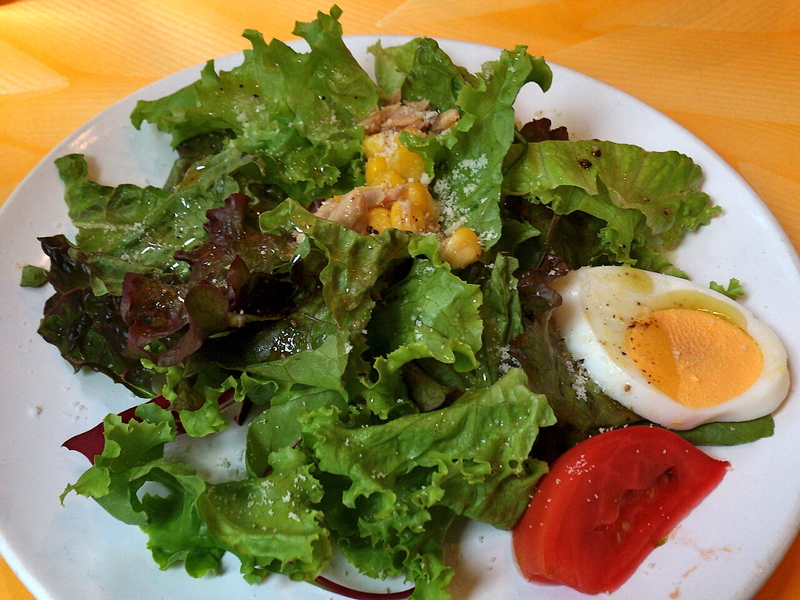 It was topped with tuna and corn and was also served with a sliced boiled egg and a tomato wedge. It was good. 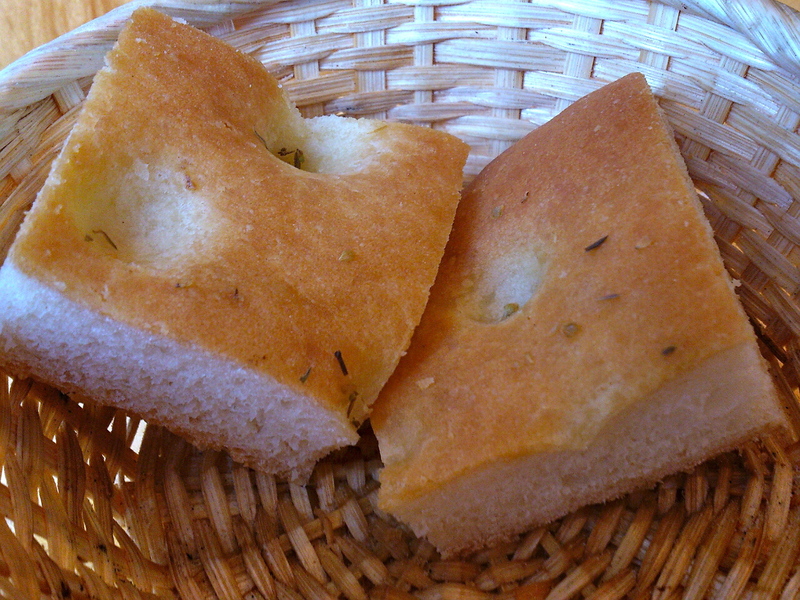 I personally love focaccia bread so I couldn’t turn it down. It was light and airy with the right touch of salt and herbs. Our pizzas finally came out. 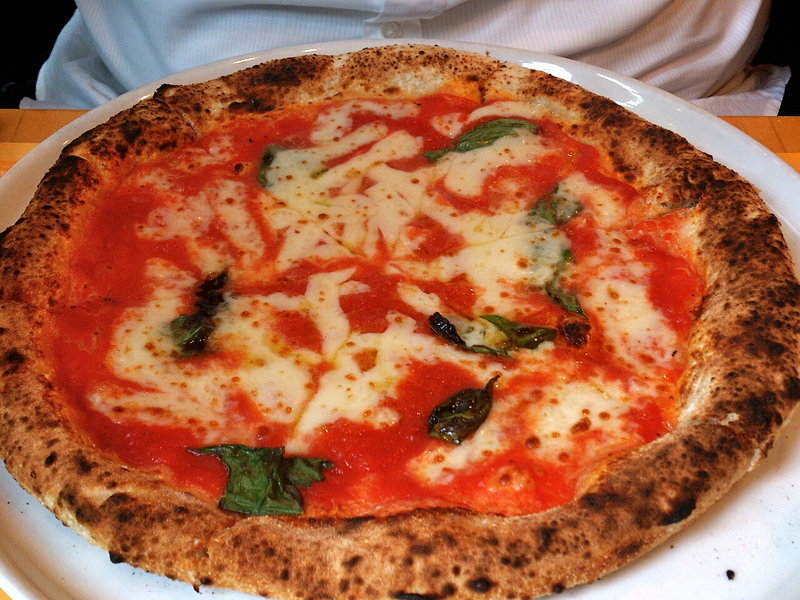 DI had the simple yet ever so deliscious Margherita. I ordered the Wurstel–which had tomato, mozzarella and sausage. It was yummy! I loved the crust on the pizza it was fluffy yet chewy. I was surprised that the sausage was cut weiners, I thought it was going to be italian sausage but it was still good nonetheless. DI and I reminisced about our old work place while we ate our pizzas and sipped on ice cold ice teas. It was fun to chit chat and just catch up. 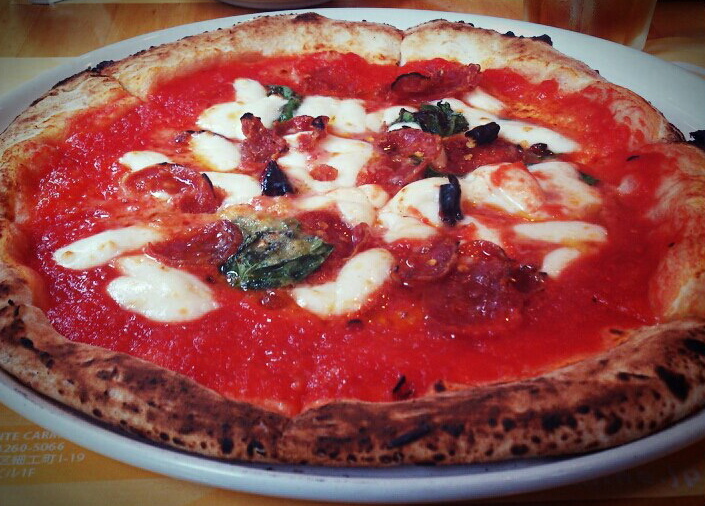 I like this pizza joint, and the portions are soo big. You will definitely leave with a happy belly. Good thing they have a sister shop in Harajuku since its a rarerity that I am out here. How far would you go for good pizza? This entry was posted in food and tagged focaccia bread, marherita pizza, pizza lunch set, pizzeria la volpaia, salad, wurstel pizza. Bookmark the permalink.